Fruit fly Parasitoid 1 - ? 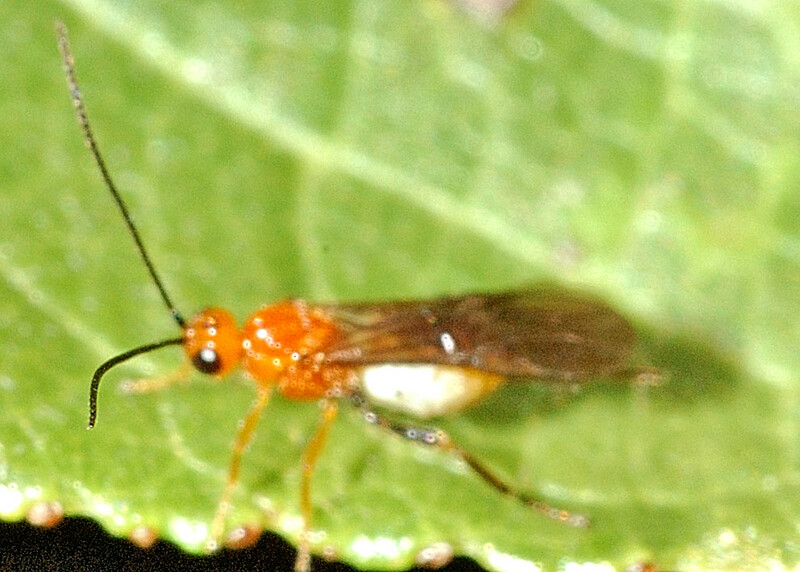 Opius sp. 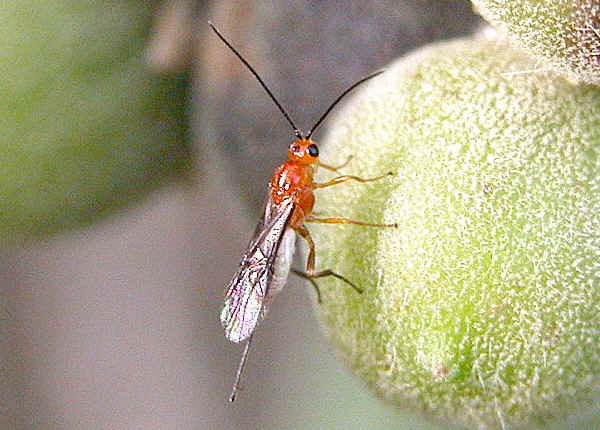 This page contains pictures and information about Fruit fly Parasitoid Wasps that we found in the Brisbane area, Queensland, Australia. 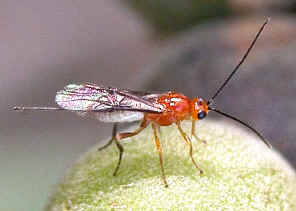 This small Braconid Wasp is orange in colour with white abdomen. 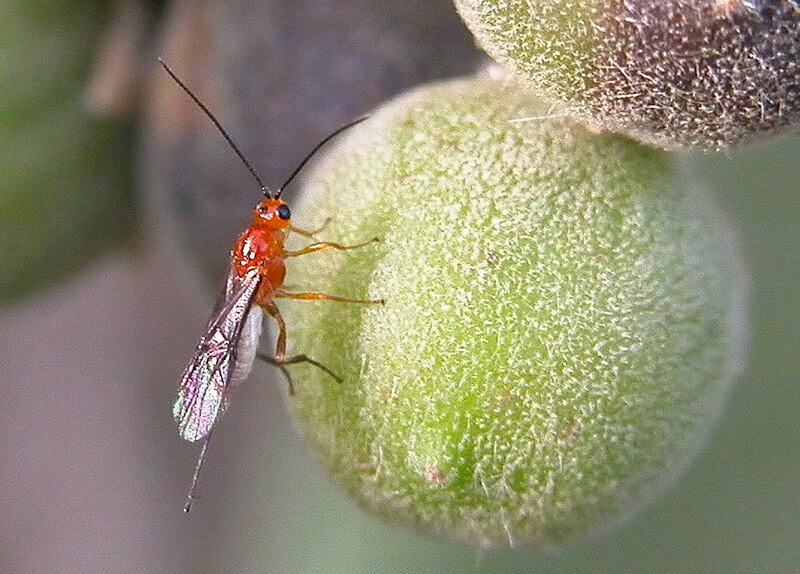 We often found this Braconid Wasp on the fruits of Wild Tobacco (Solanum mauritianum). Wild Tobacco plants are common weeds along creeks in Brisbane. Most of the Wild Tobacco fruits were infected by a kind of small fruit flies. There were the wound on the fruits, if we open it we will see the small fruit fly larvae. 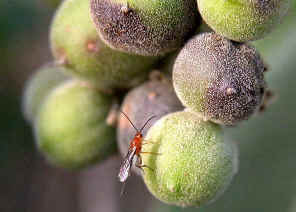 Sometimes we saw this small wasp, examining the infected fruits. The wasp will insert her ovipositor into the wound. We believed she laid eggs which the larvae will hatch and parasite on the fruit fly larvae. Above photo was taken in our backyard in Eight Mile Plains, May 2007. In our backyard there was a plum tree those plums were also infected by the fruit fly. Please check the Braconid Wasps main page for more general information about this wasp. 1. Insects of Australia, CSIRO, Division of Entomology, Melbourne University Press, 2nd Edition 1991, pp 948. 2. 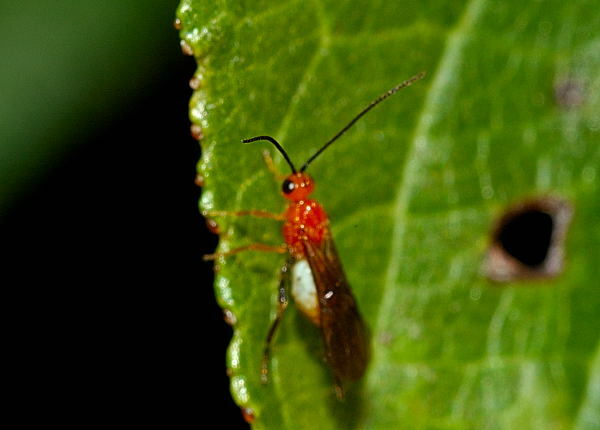 Diachasmimorpha longicaudata - Australian Insect Common Names, CSIRO 2005. Last updated: September 09, 2012.